Okay cool ... but why? 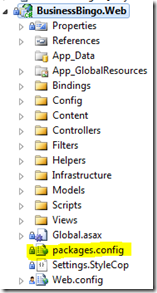 It seems like this idea is born in the ASP.NET MVC team. 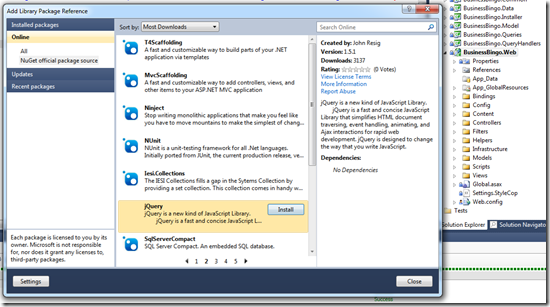 In ASP.NET MVC it was the first time, that jQuery was included in the template. Of course this version will be old in a view days or weeks. 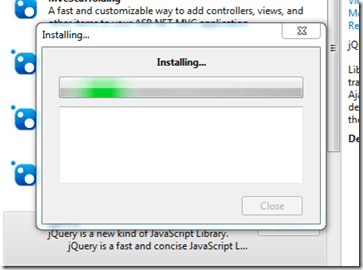 Result: The developer is forced to collect the files by himself and look up for some updates. It´s the same thing with the server components like NHibernate. 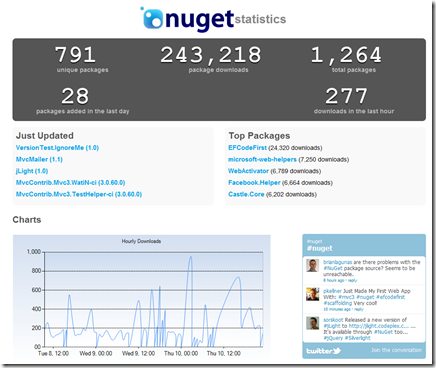 In the future NuGet will play an important deployment-role for many frameworks from Microsoft. Yes... this already exists on several platforms. But anyway it´s nice and fits perfect into the Visual Studio Tool landscape. How does this look like in exercise? Here it´s written which package is installed and which version. The packages will be saved nearly the SLN files in an extra directory so you are able to save all the files in the version administration. If you start your application there is no Voodoo or dark magic happening. 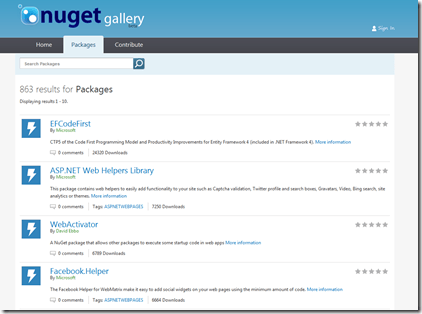 NuGet is down loading the files as packages an copy them into the project. Depending on the package there will be some changings of the web.config. But there is nothing bad happening while it runs. Where did I get NuGet? 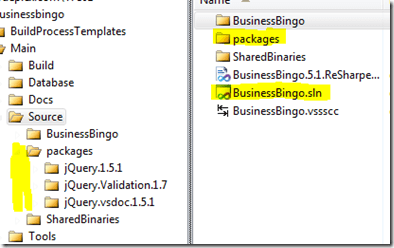 What kinds of Packages are existing? You can take a look on "Getting Started" on Codeplex. 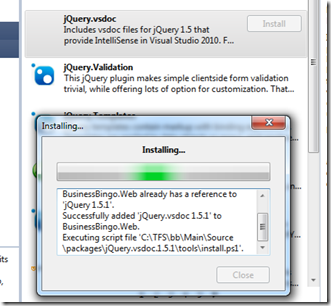 At the front page of nuget.org you will find the link to the installer of Visual Studio.